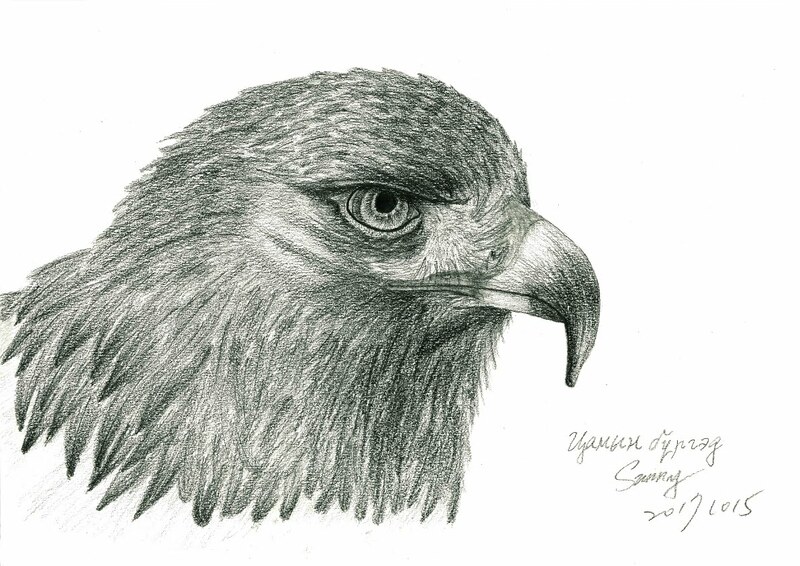 Golden eagle, a symbol of well-being and power, has long been linked to the spirit of Mongolia. In 2017, I lived with a nomad family in Mongolia for one month. During my stay in Mongolia, I was amazed by the simplicity of the life, the hospitality of the people, and the strong bond between people and the land. Life was not easy there with limited resources, but I could feel the strong spirit in each Mongolian’s heart. I drew an eagle for the family I stayed with. This drawing is to show my great respect to the fascinating culture of Mongolia.